Cities grow. In the past they expanded ever outwards but the jobs still, to a large extent, remain in the city centres. This means increased reliance on cars, long commutes, and expressways that are more like parking lots during rush hours. Many people are now eschewing the suburbs and moving back downtown, which means the pulling down of older neighbourhoods and their replacement with condominiums and subdivisions: Infill. 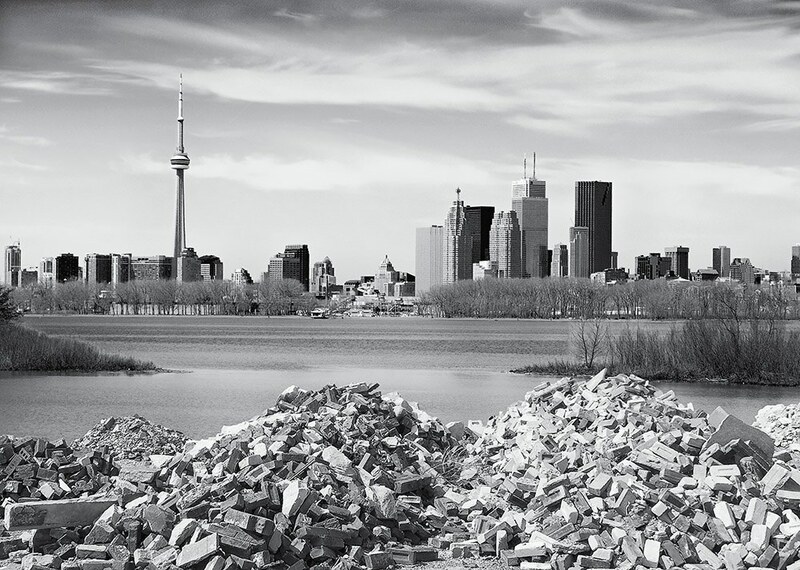 In Toronto they have found an innovative way to get rid of the demolished construction materials: truck them down to Leslie Street in the city's east end and dump them into Lake Ontario. Dump them with a plan, however, as an outcropping of land has been formed - the Leslie Street Spit - which, over time, has been reverting to Nature. The area has become a haven for all kinds of wildlife, both plant and animal, which have made their homes here. The other, less natural, varieties of homes in this equation are the subject of this gallery.